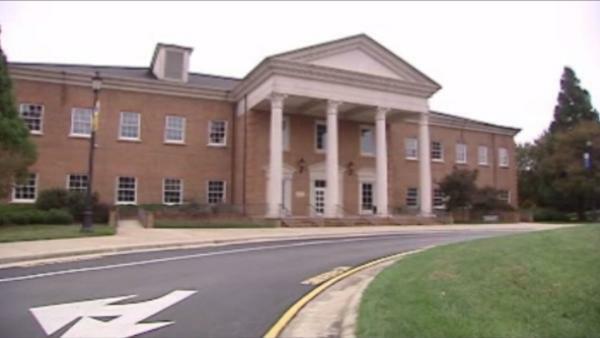 Officials at Cary Academy say police are investigating an alleged sexual assault on campus. Cary Academy Director of Advancement Lynne Fountain said in a news release the alleged victim – while a minor – is not a current or former Cary Academy student. According to Cary investigators, the victim is a boy. The victim’s father was the first to call 911. He was with the child waiting for his mother to get off work. The mother is believed to be a contract worker at the school. In the 911 call, the father told the operator that his son went inside the gym to use the bathroom, and the suspect went inside the bathroom with the child and molested him. The alleged incident happened Friday, and school officials wasted no time in reporting it. “As soon as this became knowledgeable to us police were called. Police immediately started talking to the alleged victim,” Fountain said. Fountain said an arrest warrant has been issued for a contract worker from a local cleaning company. Because there has not been an arrest, police are not releasing any additional information about the suspect except that he is not a parent or employee at Cary Academy. “We would like to put other parents fears at ease and let me them know that, obviously, take the normal precautions you would with your children. But we have no reason to believe he’s going to return there or return to another school to commit a similar act,” Cary Police Captain Don Hamilton said. It appears the suspect does not have a criminal record or Cary Academy wouldn’t have allowed him to work on the campus. “When we are dealing with an outside company like we were with this company background check were done. And we have background checks on file,” Fountain said.